The FIA European Truck Racing Championship is approaching the finish line and with it also our participation in this season. There are only two rounds left, one at the famous Le Mans in France and the very last battle will happen at the Circuito del Jarama in Spain. 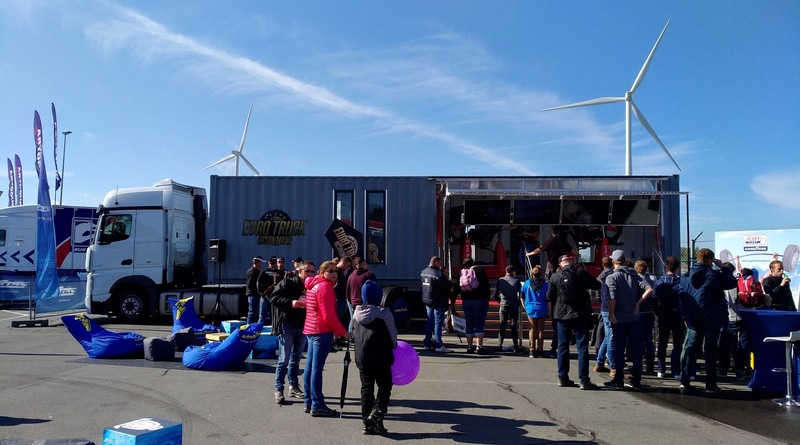 Our small 'On The Road' crew and our Sim Trailer will be present at both of these events, so if you're going to visit any of them, make sure you won't miss our place in the Fan Village. Come and check out our new and unique Sim Trailer, take a photo with our team, and try our high-tech 4D motion seats. We have arrived in Le Mans today, and our crew is really looking forward to meeting with our games' fans! Let's wrap up this post with a few photos from our travel diary - these are pictures from the previous race event at Circuit Zolder, Belgium. Community: Driver Seats #5, An Event in Progress!